Morocco plans to build a total of five solar plants that will add 2 Gigawatts of energy into its power grid by 2020. These plants will be built next to each other at the Ain Beni Mathar to make up a mega US$9bn Concentrating Plant. The project is expected to help cut down the country’s oil and coal imports. The first 160MW power plant is already under construction at the Ain Beni Mathar, with Saudi developer, ACWA Power, leading a consortium in the construction. The World Bank, together with other 3 institutions is funding the first phase of the project. The other 3 organizations are European Investment Bank, Global Environment Facility and African Development Bank. 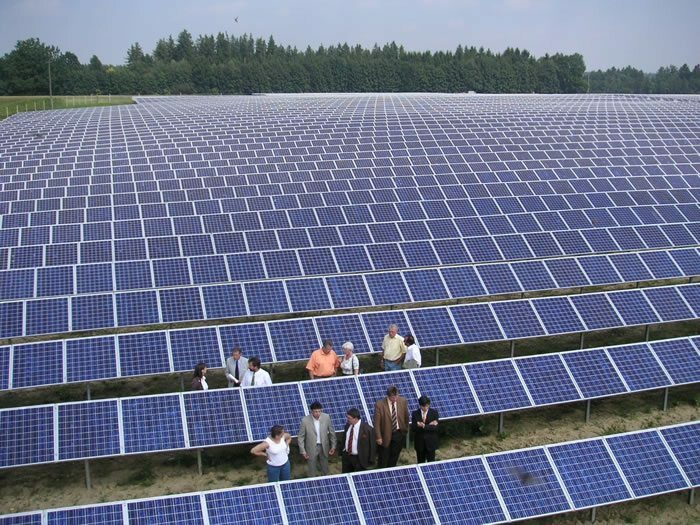 The second phase will involve construction of a 400MW solar plant, expected to go online in 2016. This will be followed by construction of two 500MW which are expected to begin operations come 2017 and 2018. The last plant will contribute 100MW into the grid. In addition to replacing coal-generation, the Ain Beni Mathar-based plant will provide an opportunity for Morocco to build a skill base to operate similar facilities in the region in future. This includes the planned Desertec solar power plant project. Morocco will also generate foreign revenues from such projects for the first time, as it is expected to export some power to Europe. According to the World Bank, Morocco is suited to serve European markets due to its strategic positioning and can take advantage of the positioning to take a technology and market lead. The World Bank plans to raise US$4.85bn to fund projects in North Africa. Beneficiary countries will include Algeria, Egypt, Morocco, Tunisia and Jordan. Middle East and North Africa will also gain from an additional US$750m investment already set aside for the World Bank’s Clean Technology Fund for establishment of Concentrating Solar. A recent NPD Solarbuzz’s Emerging PV Markets Report: Middle East and Africa indicates that solar PV demand in the Middle East and Africa (MEA) region is set to grow 50 % year-over-year in 2014. The report adds that between 2014 and 2018, annual PV demand will nearly triple as the MEA region becomes a key market for the global industry. By 2018, annual PV demand in the region is expected to reach 4.4 GW, with an upside potential of 10 GW. PV demand from the MEA region in 2013 grew by 670 %, compared to 2012 when the region added approximately 140 MW, the research group points out. Previously, the region had a substantial share of small off-grid PV systems; however, in 2013 the on-grid segment became the main factor driving growth to more than 1 GW, with 1.6 GW forecast for 2014. In 2018, ground-mount systems will account for over 70 % of the market.